Credit cards are convenient especially in case of emergencies. They’re also necessary to complete certain transactions, such as making a hotel reservation. 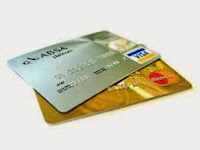 John boldly paid for the the medical urgency of his old ailing mother by using his credit card, however, later he realized that after paying off the credit card dues, his finances were in a mess as he had paid lot of money as finance charges for installment and late payments.. These credit card benefits of emergency or compulsory usage come with a high price attached if you’re not careful. Creditors apply finance charges to your monthly statement for any outstanding balances from the previous month. Those fees add up and can easily get out of control if your card has a high interest rate and/or you make only the minimum payment every month. Finance charges can get out of hand, but if you accelerate your monthly payments you can reduce their impact on your finances. A finance charge is the monthly fee that a creditor charges credit card holders for outstanding balances. It’s the price you pay for carrying a balance on your card, and if you avoid them, you’ll reduce the cost of having a credit card. The grace period – the time you have to repay the balance without finance charges- varies from 30 days to the timing of your credit card statement. Once the purchases appear on your statement, you should pay off the balance in full to avoid finance charges. You cannot avoid finance charges if you carried a balance at the start of the billing cycle. Most creditors only extend a grace period if you paid your previous balance in full. Cash advances and balance transfers do not have grace periods, so finance charges are calculated from the moment the transaction is processed on your card. The only way to avoid these charges is to stay away from them completely. The only exception is when you’re using your card during a 0% interest rate period. You can carry a balance during that period and avoid interest charges, but you must pay off the balance in full to avoid finance charges. How to Avoid a Finance Charge? There are so many cards that do not charge an annual fee that there’s no reason not to get one. It’s the only way to avoid service fees if you do not use the card. Go through the fine print thoroughly before you activate the card. Find out how the interest rate and finance charges are calculated. Stay away from the card if the lender has a habit of raising the interest rates. This clause gives creditors the right to raise your interest rate if you pay your bill late. The higher your interest rate, the more finance charges you’ll pay if you don’t pay off the balance. It’s critical that you pay your bills on time if your card has the universal clause. Find out what the grace period on your card is – if you have one. Grace periods typically run from 20-25 days, which gives you some time to pay off your debt and avoid finance charges. Before you cash in the balance transfer check that came with your statement, examine the terms because balance transfers are subject to higher fees. Finance charges keep creditors in business and are detrimental to card holders who let their debt spiral out of control. Pay off your debt in a prudent manner and you’ll avoid finance charges altogether. This is Savannah Brien. I recently had the opportunity to look through your site [moneymazics.com]. You have quality & useful posts.I write for many financial communities.I would be highly privileged if you allow me to write for your website. The article will be completely free of charge and all I want is just a back link for my site. Thanx Savannah for stopping by and appreciation.